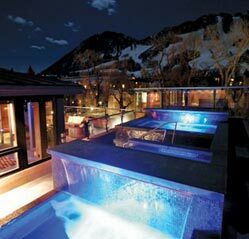 Anyone who thinks that the action in Aspen stops when the snow melts has obviously never been to the Aspen Food & Wine Classic, particularly while staying in the neighboring Aspen residences at Dancing Bear Aspen. Visitors trek to the festival from all over the city but Dancing Bear Aspen is quite literally next door to the tented festivities at Wagner Park. The Aspen Food &Wine Classic always reels in world-famous chefs, but the Classic celebrates its 30th anniversary this year so everyone who’s anyone in the food world will be there. Bobby Flay, Danny Meyer, Sissy Biggers, Emeril Lagasse, Tom Colicchio, Mario Batali ... the list goes on and on. If you prefer raising a glass to chowing down, no problems there either. There’s a wine seminar for everyone’s unique tastes (an hour on Greek wine with Master Sommelier Andrea Robinson anyone?) and even a Stella Artois Beer Pairing seminar for the boys. The weekend will be positively gluttonous so take some time out from the festivities to do good for your body and the planet. Join Food & Wine’s charity Grow for Good, which supports local and sustainable agriculture, and Bobby Flay in a 5K Charity Run. Then you can indulge at the Late-Night Dessert Bash with Top Chef: Just Desserts’ Gail Simmons and the over-the-top 30th Anniversary Party (almost) guilt-free. Being a stone’s throw from the Classic is incredible enough but there are even more perks to taking it in while at Dancing Bear Aspen. The Aspen Food & Wine Classic runs from June 15th through June 17th but Dancing Bear residents will kick off the party a night earlier with exclusive tastings and surprise guests. We’d give you the details now, but that would ruin the fun! If you prefer to take in the action from a distance sometimes, well, that’s okay too. You’ve got a front row seat on Dancing Bear Aspen’s exquisite rooftop. Sip a glass of wine by the fire pits or the outdoor spas and relax until you’re ready to rejoin the party. This outrageously popular event always sells out so get your tickets ASAP. June will be here before you know it. To discover more about Timbers Resorts, contact us via email at info@timbersresorts.com or by phone, 888.366.6641.